London (UK) is the centre of technology, business, finance and also physics, thanks to my alma mater King’s College London (University of London). 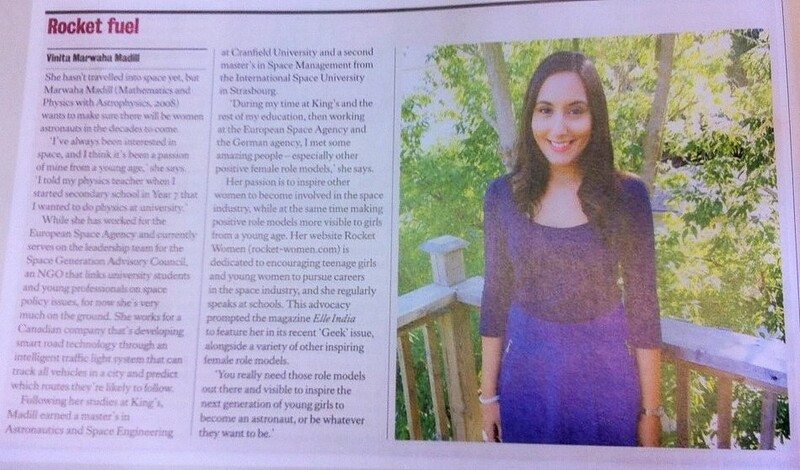 The university where I completed my Bachelors degree in Mathematics & Physics with Astrophysics, kindly featured Rocket Women in articles on both their online alumni website and in the alumni In Touch print magazine (above). 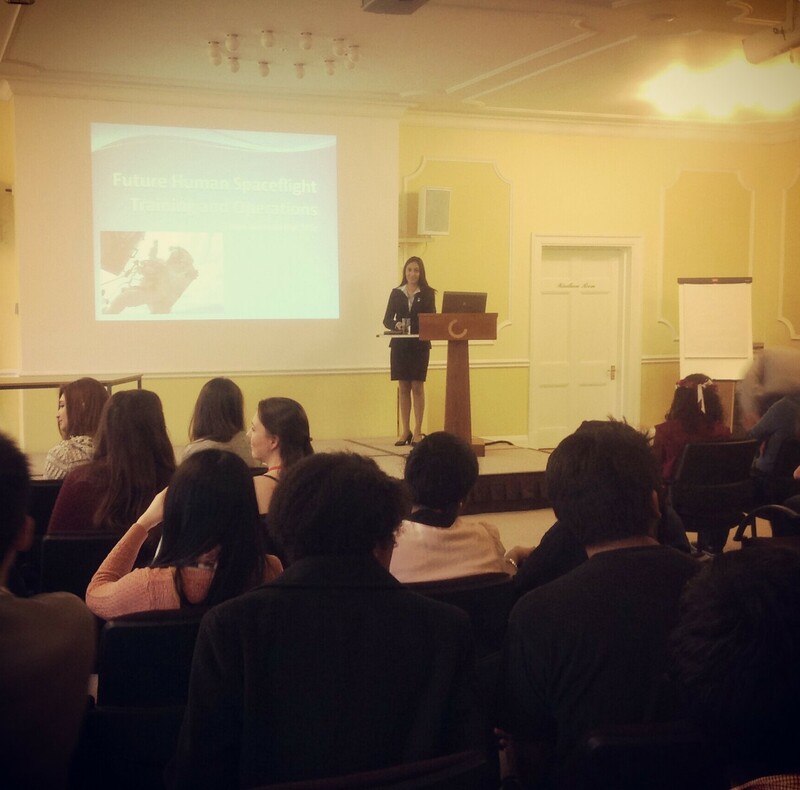 I’ve also been lucky enough to go back to give a lecture to the King’s College London Physics department faculty and students on Future Human Spaceflight Training and Operations at Cumberland Lodge during their annual mentoring event. A story with the full interview is featured in an article on the King’s College London website: One Small Step For Womankind. She hasn’t travelled into space yet, but Vinita Marwaha Madill (Mathematics and Physics with Astrophysics, 2008) wants to make sure there will be women astronauts in the decades to come. “I’ve always been interested in space, and it’s been a passion of mine from a young age,” she says. “I told my physics teacher when I started secondary school in Year 7 that I wanted to do physics at university.” While she has worked for the European Space Agency and currently serves on the leadership team for the Space Generation Advisory Council, an NGO that links university students and young professionals on space policy issues, for now she’s very much on the ground. 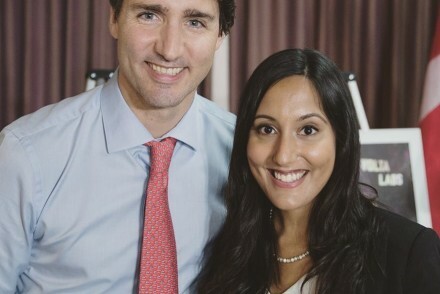 She works for a Canadian company that’s developing smart road technology through an intelligent traffic light system that can track all vehicles in a city and predict which routes they’re likely to follow. I am currently working on a project for ELLE UK that we would love Rocket Women to be involved with. Please can you email me at [email protected] and I will send you more details.